When Rachel White had a big corporate job in finance, she thought nothing of blowing a couple of grand on clothes every weekend. White says she was dealing with underlying anxiety or tension, and she used shopping as retail therapy to "zone out" on a Saturday or in the evenings after work. "I wouldn't go with a plan, I wouldn't go with a budget, I'd go and buy stuff I liked without looking at the price tag," White says. "$1800 later I'd feel much better – for about half an hour." There were two turning points for White. In 2007 she won a session with a wardrobe consultant at a charity auction. This started White on a journey of exploring colour and using clothing to express her creativity, but it didn't immediately curb her shopping addiction. 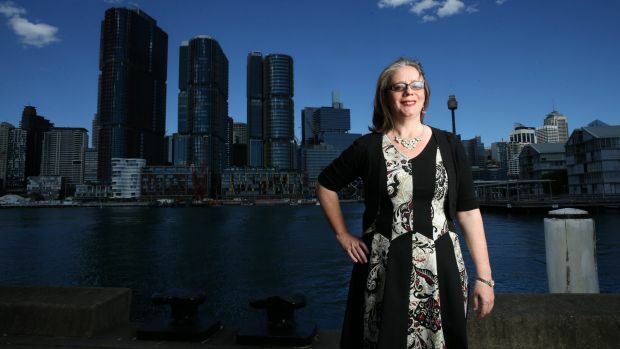 Then in 2010 the Sydneysider hit the glass ceiling at work and left to start a freelance career, offering her services as a part-time chief financial officer to technology start-ups. The big pay cut forced White to rein in her spending, yet figure out how to keep her professional wardrobe well stocked. White puts a lot of thought into how she dresses at work, saying that the right clothing can boost her confidence at a board meeting, or help her stand out at a networking function. White remembered the lessons from the wardrobe consultant and started putting them into practice much more deliberately. Most women only wear 20 per cent of what's in their wardrobe. If you can focus on buying only those items of clothing that work, and not buying the other 80 per cent, you can save a lot of dough. White's first task was to declutter her wardrobe so she could see what she owned. She took the consultant's advice to get rid of everything she hadn't worn for more than 18 months – two seasons – and to separate what was left into a summer and a winter wardrobe. White could then go shopping with the purpose of buying clothes to fill gaps in the wardrobe, rather than to replicate what was already there. When shopping for a special occasion, she used another technique from the consultant: to take her own accessories to the store and buy a dress to match. She's learnt to enjoy the challenge of dressing on a budget. At $4000 a year, that budget is still out of reach for many women. But it's a big drop from the $20,000 plus she used to spend, and she believes the techniques work for any budget. The biggest change for White is that she no longer uses shopping as a fix. Instead she relieves tension by meditating every morning and getting plenty of exercise. Crucially her new freelance life is much less stressful than her old corporate job. Clinical psychologist Sally Wooding, who practises at Doctors on Darling in Balmain, Sydney, sees a lot of shopaholics. Dr Wooding says it's important to deal with the underlying cause, whether it's dissatisfaction at work or an unhappy relationship. "More often that not they're gaining something out of it because they're lacking something else in their life," she says. "That doesn't mean all people who shop a lot are unhappy, but in many cases it's about gaining a sense of control. It can feel very empowering to see something you like and take it home." Dr Wooding also recommends mindfulness techniques to help you gain awareness of your behaviour and so you can form a plan for dealing with your triggers. For example, some clients give their credit card to their friend for safekeeping while they're at the shops. Dr Wooding says shopping addiction seems to be mainly a female problem, while men are more likely to use gambling to fill the same urge. Smoking cigarettes or emotional over-eating are also similar behaviours that create a short-term fix, with long-term consequences. Dr Wooding says although nicotine is physically addictive, there's a chemical component to all addiction. "The rush of cortisol is what makes us feel good and what starts as habitual becomes physiological," she says. "Over time that can escalate a bit and what is $200 now can become $500." Another aspect is secrecy. Rachel White is single, but Dr Wooding sees a lot of clients who hide their spending from their partners. This is backed up by new research, which suggests that more than one in two Australians have deceived a partner, family or friends about money issues. The survey of 1014 people nationwide, commissioned by Fox Symes Debt Solutions and conducted by Galaxy, found women were most likely to do this, with 56 per cent of female respondents admitting to hiding spending or debt. The pressure and cost of raising a family seems to be partly to blame. Two out of three people with children living at home hid debt and spending from their loved ones, compared with less than one in two people without children at home. This was worse for mothers, with seven out of 10 women with children in the household admitting to secrecy over spending. This does not mean all "retail therapy" is bad. "You could go out for a splurge on a new wardrobe as a reward and that's not unhealthy but if you're spending beyond your means or buying things you don't need, then it becomes a problem," Dr Wooding says. "There's a difference between 'I'm unhappy and this makes me happy in a short-term way' versus 'I've worked hard and I'm spending in a contained way'." The key is being honest with yourself.